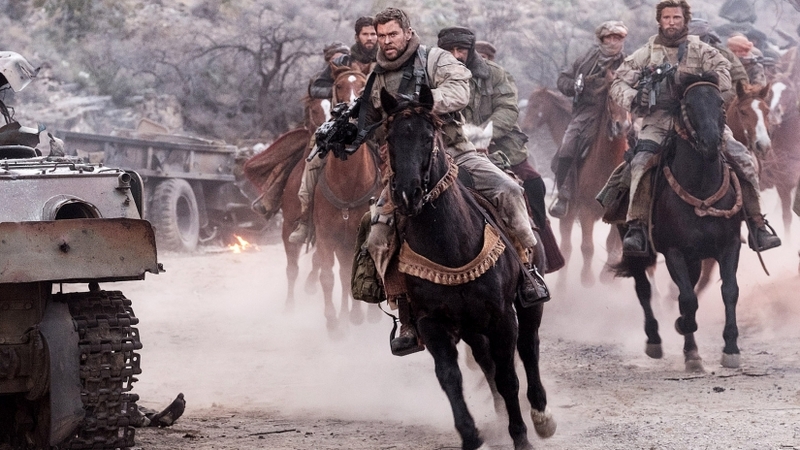 “12 Strong” delivers the bravery! Not a huge fan of war films nor the thriller of the events took place in real life, but this film have brought some interesting, historical viewpoints for everyone who needed to be aware about the happenings of 9/11 and the most important wars (e.g. Civil War, Cold War, Vietnam War, etc.) from centuries and decades. Chris Hemsworth provided the juiciest, strongest role as Captain Nelson of the Special Forces who was sent to Afghanistan to take down many enemies and murders down the valley and the mountains. Nicolai Fuglsig, who made his directorial debut in this film, and Chris Hemsworth both teach students, veterans, and teachers the valuable lesson about the serving the country and made sacrifices to help others and comrades in order to restore glory and hope for the citizens who were the main targets by shooters. It seems like getting into something new and interesting just like a man going into war or the army and a college student going into college. The main viewpoint is not only fighting, but also tackling through each difficult obstacles as well as taking advices. It was problematic thing to do for the director to set everything in desert areas and to valleys of rocks. Michael Shannon, Michael Pena, Trevante Rhodes, and Navid Negahban are there as Hemsworth army and supporting comrades to defend off the Taliban army. They both provided the steadiest and flawless performances with bloody marks all over the film, thought it was tough to keep the murder out of the way (and to be seen throughout some war-bloody sceneries) once the Taliban shooters were spotted as well as leaving families and children behind to go into war while keeping promises. And even Elsa Pataky, who was Hemsworth’s wife and portrayed as Captain Nelson’s wife, provided a strong message about love and family. This film was wonderful, crispy gathering for everyone, history teachers, and veterans who have served countries for many years. Based on the book, “Horse Soldiers” written by journalist Doug Stanton, producer Jerry Bruckheimer have kept the book as a film dream to produce and to remember of the veterans and soldiers’ sacrifice just like the “Pirates vs British soldiers” intervention from Pirates of the Caribbean series (also produced by Bruckheimer), where the crews are all here to fight for justice. It was an uplifting movie when it comes to bravery stand-ups, action-packed answers, tragedies to learn from, and hitting a few speed bumps when the soldiers were outnumbered or caught red-handed. So grab your bloody maries or anything healthier and watch this soldiers’ move just as you watch Forrest Gump making an impact.